The Canopy is a packable, affordable jacket riddled with awesome features. Running jackets come in all shapes and sizes, from burly backcountry layers to lightweight wind shells. The Brooks Canopy strikes an incredible balance between weather resistance and breathability, allowing lots of room for comfort and mobility. In addition to a host of runner-friendly features, Brooks knows their market. A retractable hood, pockets, a good visibility cap off this comfy, cute jacket. We were happy to award this jacket our Top Pick for Cold Weather Cruising for its all-around performance. The Canopy provides excellent weather resistance and a ton of impressive features purposefully designed to enhance the running experience. The canopy was a great choice for the Sierra's crisp fall mornings. After months of testing all of these products side-by-side, we started to learn that breathability and weather resistance were a bit at odds. The jackets that could keep wind out, usually, also kept air in. Runners have long been forced to pick between stuffy, trash bag-esque garments or to forgo weather resistance entirely. Until now. Our testing team was very impressed with the Canopy's breathability. Despite being a bit heavier than some of its competitors, there was a surprising amount of airflow which kept us warm without drowning us in our own sweat. Despite a lack of vents, the Canopy's polyester allows for decent airflow. Compared to the Patagonia Airshed, which was even thinner, the Canopy has some room for improvement. But, especially when compared to other jackets with similar weather resistance scores, like the Ultimate Direction Ultra Jacket, this layer is especially impressive. If you're wondering why you'd need a jacket to run on the treadmill, this review probably isn't for you. For the rest of us, we like to get our sweat on in the great outdoors, which makes us prone to weather. Whether it's wind, rain, snow, or just cold temperatures, we wanted to know how well each product in this review prepared us to face the elements. The Canopy made for a great all-around layer, and its weather resistance was one of its most impressive qualities. While it's not a full-fledged rain jacket, it does provide ample protection against surprise rain storms. The wind resistance is sufficient as well, and while it might not be as bomb-proof as some of its competitors, this is still an excellent choice for stormy days. The hood adds to this protection, though it would be nice to have a sturdier brow like that of the Ultimate Direction Ultra Jacket. One of the Canopy's most impressive traits is its warmth, and more specifically, its warmth-to-breathability ratio. The Canopy isn't insulated like the Arc'teryx Gaea, but it does provide more protection than some of its lightweight brethren, like the Brooks LSD. The blend of breathability and warmth is one of the factors that really sells this jacket as one of our Top Picks. For cool spring mornings or chilly fall evenings, you can't go wrong with this one. Comfort is a personal thing, and everyone has their own preferences about fit and feel. We know this category is more subjective than some of the others we score for, so to try to mitigate this as much as possible, we gave these jackets to our friends and colleagues to get feedback. We arrived at unanimous agreements on each product's comfort compared to its competitors by looking at materials, fit, and mobility. The Canopy is one of the most comfortable jackets in this review for a variety of reasons. First, we enjoy the materials. The polyester fabric feels soft and light on our skin, though it isn't as luxurious as the wool interior of the Icebreaker Rush. This jacket has a bit of stretch, similar to the Airshed, which was left out of almost every other product in this review. What's a running jacket without thump loops? Our testing team liked the fit of this layer, finding it to strike a nice balance between loose and form-fitting. We never felt constricting in our movements, no matter how wildly we moved our arms. Our testers also really appreciated that the hood folds up and away, which makes running a bit more comfortable. After months and months of testing, our review team decided that two factors contribute to a jacket's ease of transport: weight and packability. We want to be able to use these on a wide variety of missions, from marathons on the clock to trail jaunts through the mountains. As far as weight goes, the Canopy is below average. The lightest jackets that we tested, like the Brooks LSD, are around or below three ounces, while the Canopy comes in at twice that. Its 6.1-ounce tag makes it a bit more cumbersome, and we definitely noticed the weight while we were wearing it as well as while carrying it. Flexin' with the Canopy jacket's unique packing design. One of the biggest redeeming traits of this jacket, as with the LSD, is the armband. 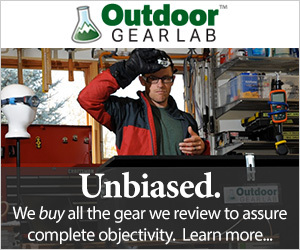 Brooks truly nailed it here, with both of their products that we tested in this review. While many of the jackets we tested fold into their own pockets, the Canopy and LSD were the only two equipped with a running-specific transport module. The armband is a stretchy elastic band used to wrap around the bicep while running. We love this feature because it allows us to carry a jacket around on runs where a pack or vest isn't necessary. While the Canopy's relatively high weight originally had this product leaning towards a lower score, the armband is its saving grace. To distinguish these jackets from the other windbreakers and rain jackets that we've tested, we looked at the small features. There are certain details specifically designed for running that enhance our workouts, and we use this category to nitpick all those things. The Canopy is chock-full of our favorite features. Where do we even begin? Starting at the top, we love the hood and the easy snap closure to tuck it away. It's easy to do this without taking the jacket off, and we like having the ability to take away the flip-flopping of an unused hood. Hoods instantly make a jacket a more versatile, and we loved having this as an option in cold weather. With the Canopy's sleek media port, we never have to go without our favorite tunes. Moving down, this layer has excellent visibility. Our testers found that the most crucial place for reflectivity was the back, and we appreciate that Brooks included a long reflective stripe right down the center of the back, similar to that of the Brooks LSD. This visibility is crucial to runner safety and is one of our favorite features. Another impressive part of this jacket is the retractable thumb loops. When not in use, we can't even tell they're there. When we want a little extra warmth, though, the thumb loops are an excellent addition and one of the reasons we awarded this jacket our Top Pick for Cold Weather Cruising award. The last and final feature that made us swoon was the pockets and headphone anchor. With two lateral zippered pockets, we had a lot of storage options, especially when compared to the Ultra's complete lack of pockets. Inside one of the pockets is a tiny hole to slip your headphone cable through. This seems like a minimal feature, but after snagging our hands on our headphones too many times, we couldn't believe how much enjoyment we got out of this little detail. The cord fits into a little plastic divot on the main zipper which helps mitigate cord bouncing. Genius! The Canopy is chock-full of amazing features, from thumb loops for warmth to reflective striping for visibility. With a warm yet breathable design, we'd happily recommend this jacket for colder workouts. Coming in hot at $120, the Canopy is below average in this review. We thought this jacket was an incredible value because of its portable design, comfortable fit, and awesome blend of breathability and warmth. There are so many things to love about this jacket, we didn't even know where to begin! We were initially impressed with the Canopy's warmth-to-breathability ratio, and after months of testing, we came to fall in love with all the smaller details as well. Purposefully designed for runners, Brooks nailed it on this one, and we're excited to announce this jacket as our Top Pick for Cold Weather Cruising. Amazon $39.59 - 67% off!